Within the concept of all things coming to their fruition at the end of a cycle, healing energies are no exception. 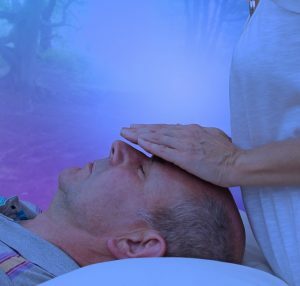 Energy therapy is part of the diversity of practices that broadly go under the label of psychic, mystical or spiritual healing. This type of healing activity has been as much a part of this ending cycle as the physical therapies have been. And just as the physical therapies have advanced in their methodology, so too have those therapies that are psychically based. Energy therapy is not the only way in which this advancement is happening. There are many similar therapies now utilizing energy as a basis for their application. Sickness and disease on this planet are inevitable. Most are the results of forces projected by this Planetary Logos and a result of karmic influence. Those influences are in constant interplay and throughout that interplay is the theme of duality. Viruses and bacteria are the products of group souls that are fulfilling command requirements to no lesser degree than the group souls that project humanity. Human involvement in these consequences is both as victim and perpetrator. The answer to individual difficulties lies in the configuration of energies that make up that particular person. Rarely does the purpose of energy therapy lie in physical things alone. In some cases, diet might assist in reducing effects; homeopathic medicine may also be of benefit, naturopathy and the flower remedies can also assist in the reduction of symptoms, but of themselves may not be able to alter the deeper causes even though many of these modalities are now utilizing energy as a base. Group Souls are responsible for the forcing through of energy into matter and are responsible not only for the projection of the species’ genetic code but also for the way in which the code is carried forward and any alterations that occur in it. Group soul energies that are presently involved in our existence have also been projected many times previously into incarnate existence and bear the mark of all their past experiencing. Written into these energies are the tales of past woes on the part of humanity—war, disease, and trauma. These unhappy aspects of our history give rise to cumulative effects in the group soul. They exist there as shadows, and they impede or distort the projecting activity that still must go forward from that group soul. This results in certain weaknesses being bred into a family, race or nation. They are features written into the genetics of people, and they are caused there because that which projects the genetic code in the first place is obstructed by its own unresolved experience. Many ailments and difficulties experienced by people originate in these historically accrued effects and imprints within energies of the group soul. The responsibility of these foci is the overcoming of the difficulties peculiar to a projecting source. That knowledge is of a different kind to how we would perceive it. The reason for one person being prone to illness and another not has its answer in these deeper energy levels. Preventive measures such as immunization are the product of human observation and experimentation. The effects of immunization and allied methods cannot be transmitted from one generation to another and even in the life span of an individual they have a limited effectiveness and are short term only. They are not energy based but rely on a knowledge of disease in its fundamental sense. Given the idea of a new cycle dawning, it must be expected that there will be new requirements introduced. This does not mean, however, that the future will be an affliction free one. Already, there is the appearance of new and strange diseases. Those who would look only to the dawn of a golden age are forgetful of the duality that runs through all things. If the future brings hope for change in many unpleasant aspects of the present, it will also bring a new set of difficulties through which the deeper parts of our existence continue in their learning. In the application of energy therapy, a transfer of energy occurs through the therapist to the person being treated with the majority channelled through to the relevant focus or foci to make the necessary adjustments for correction of the difficulty the person is experiencing. Since these foci are involved in the projection of that life in the first place, they must also be involved in any alteration that has to happen within it. The energies that project humanity cannot go forward into the oncoming new age burdened by the effects of past difficulties. We must also play our part. Change must occur cell by cell, molecule by molecule, thoughtform by thoughtform to allow the vibrational level of the human body to expand into the ascension body of light.